I’ve decided to try to post a few blocks as quickly as I can so you can get a feel for whether you’d like jump in and join me. Block 1 is a horizontal block. 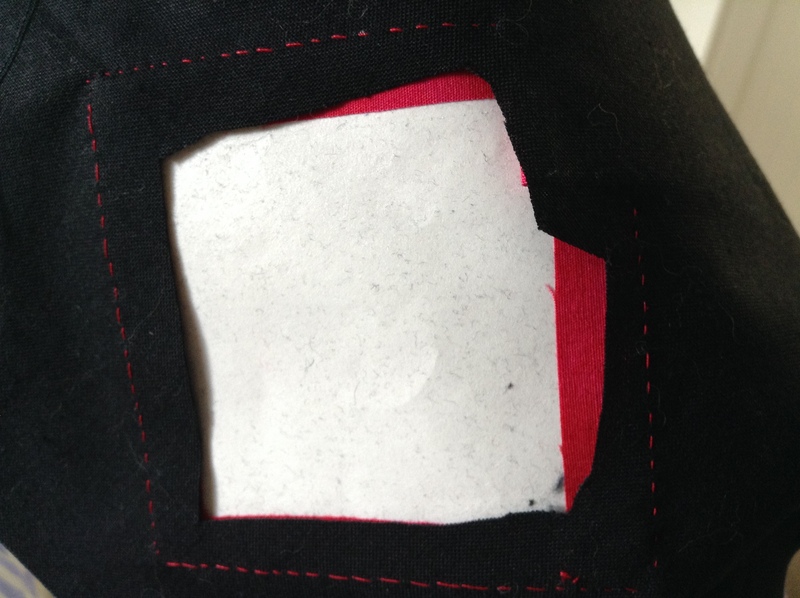 Block 2 is vertical, so bear this in mind when making your fabric choices. Part of block 1 will be in contact with block 2. 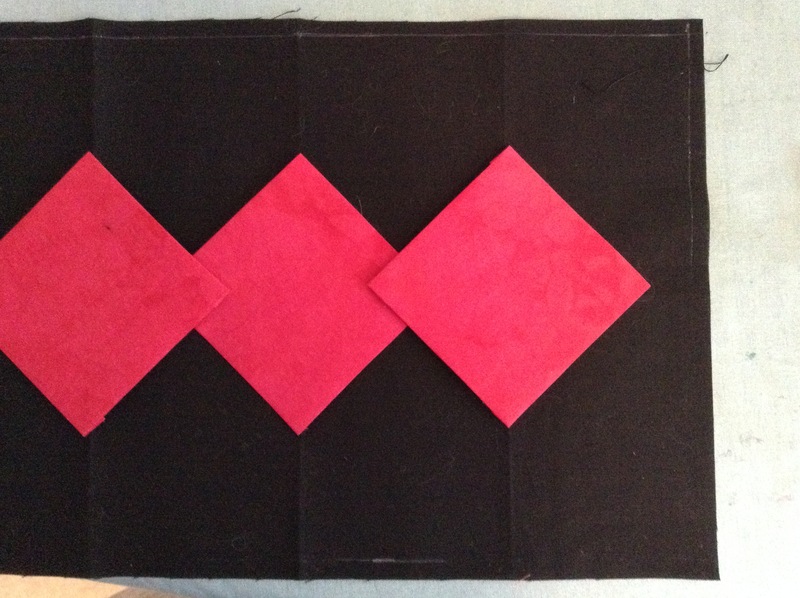 So for this block you’ll need a piece of background fabric 12.5″ X 8.5″ and three pieces slightly larger than 3″ square (you’ll see what I mean later) and a further three pieces slightly larger than 1.5″ square. You’ll also need some batting, some background fabric, some freezer paper and 12wt thread. 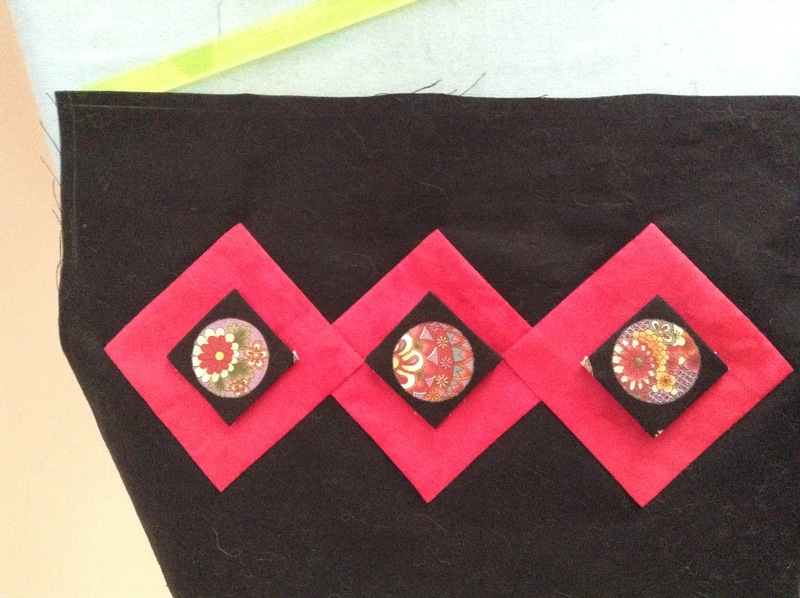 With regards to the backing – the back will be very “patchworky” so I’d use a variety of fabrics. 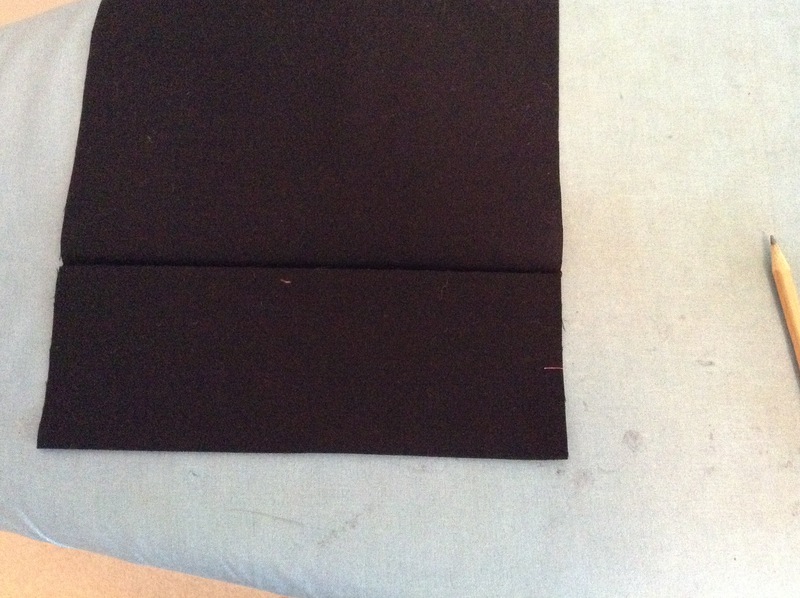 Fold one seam allowance over onto the freezer paper and carefully iron it. Make sure not to let the iron touch the bare freezer paper. 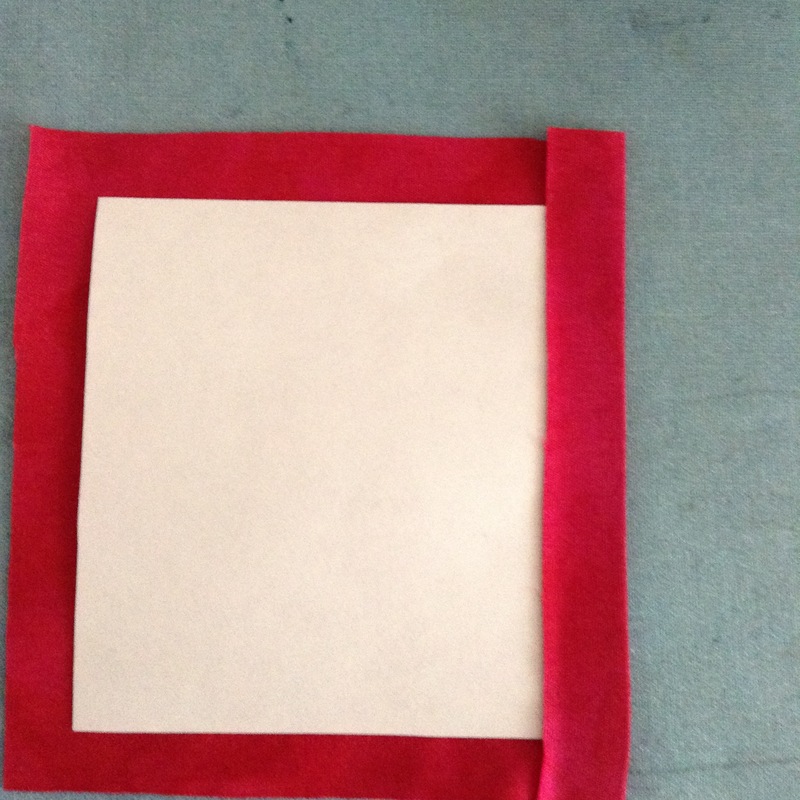 The fabric sticks to the freezer paper and stays in place. 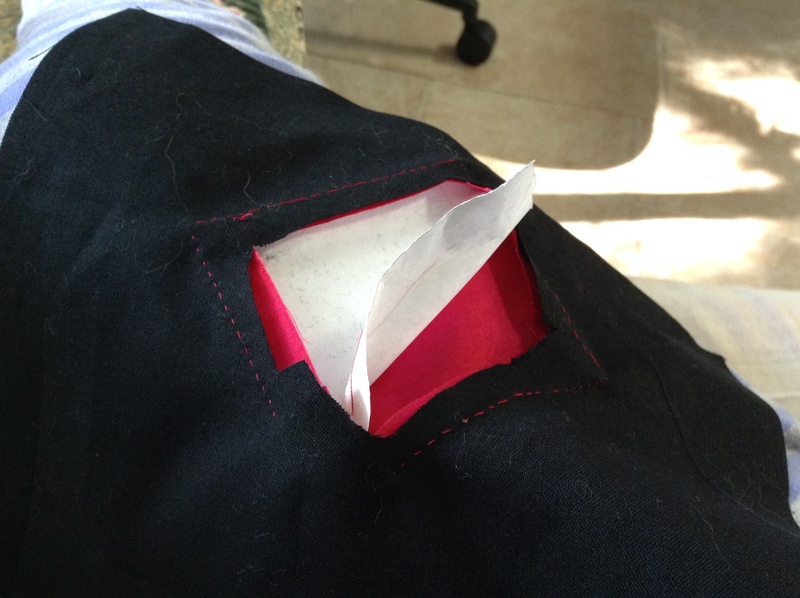 Do the same with all the other seam allowances. 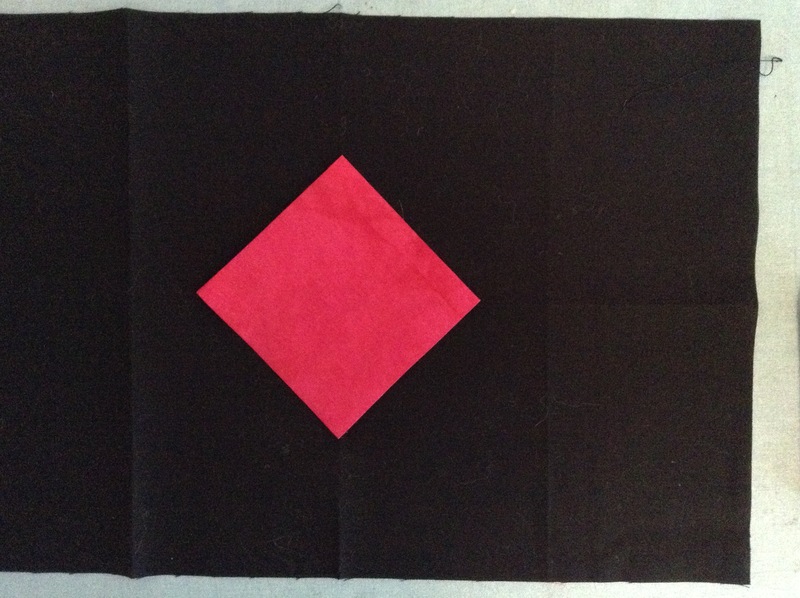 Do the same to the other two squares of fabric. 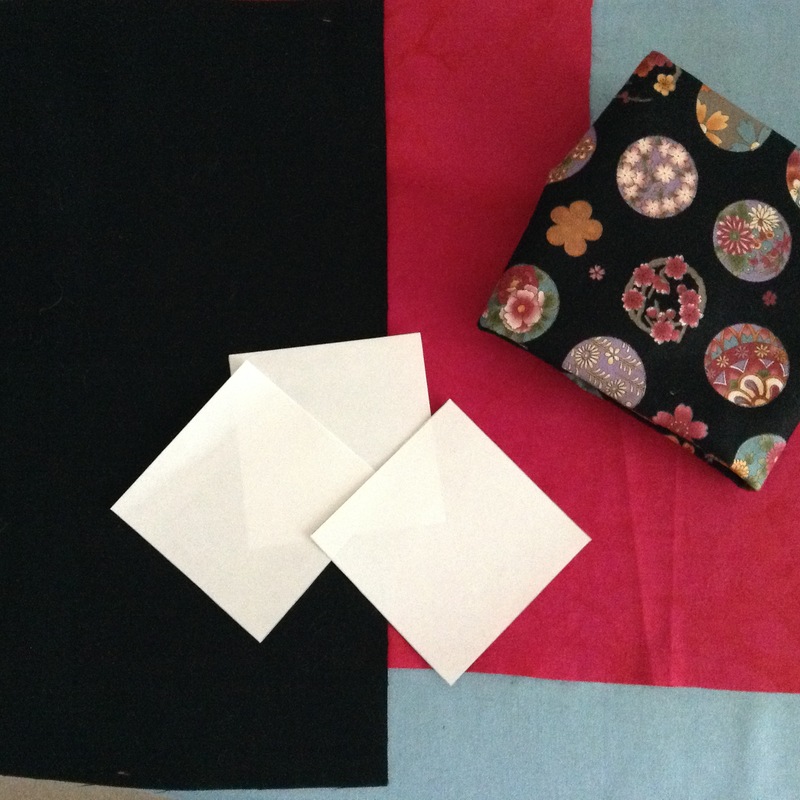 Take the background fabric fold it in half so it measures 6.25 X 8.5″ and lightly press the crease. 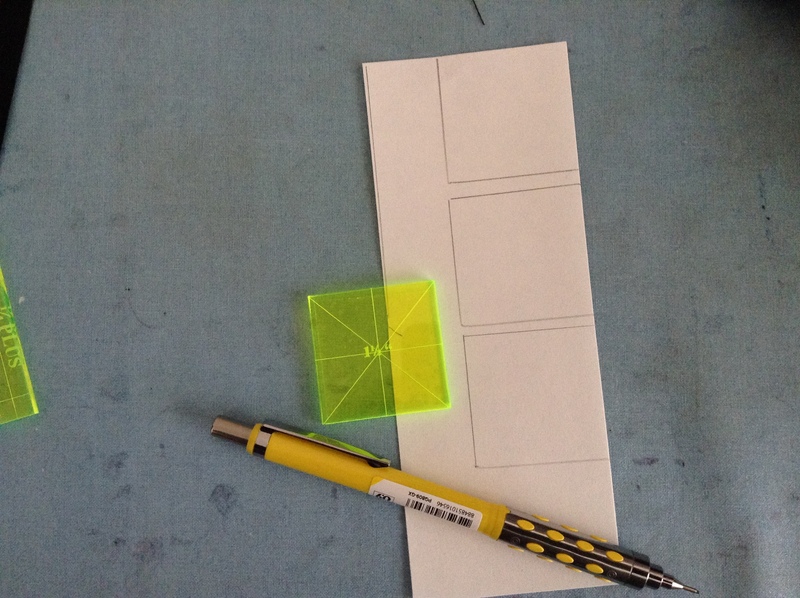 Then open it out and fold one edge into the centre create and lightly press the new crease. 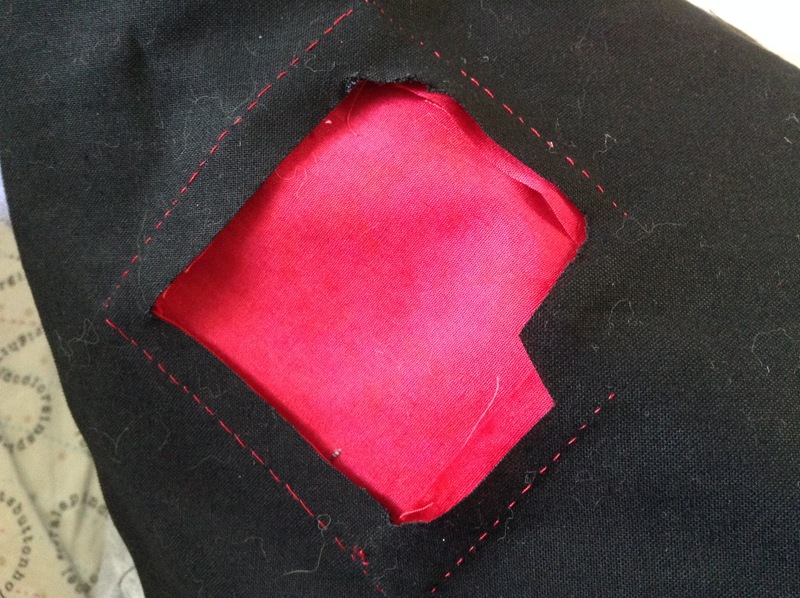 Repeat the last step with the other end of the fabric, then open it out, fold in half the other way and lightly press the crease. 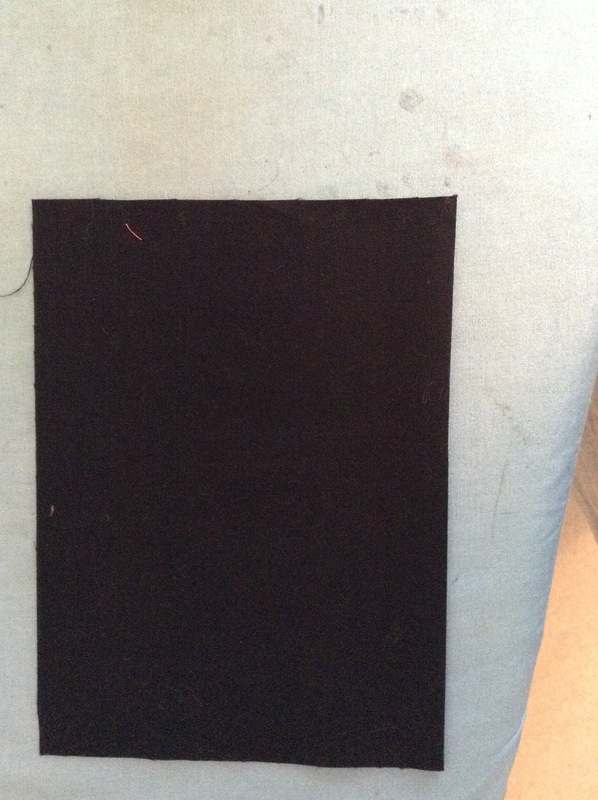 Your fabric should then look like the piece below. 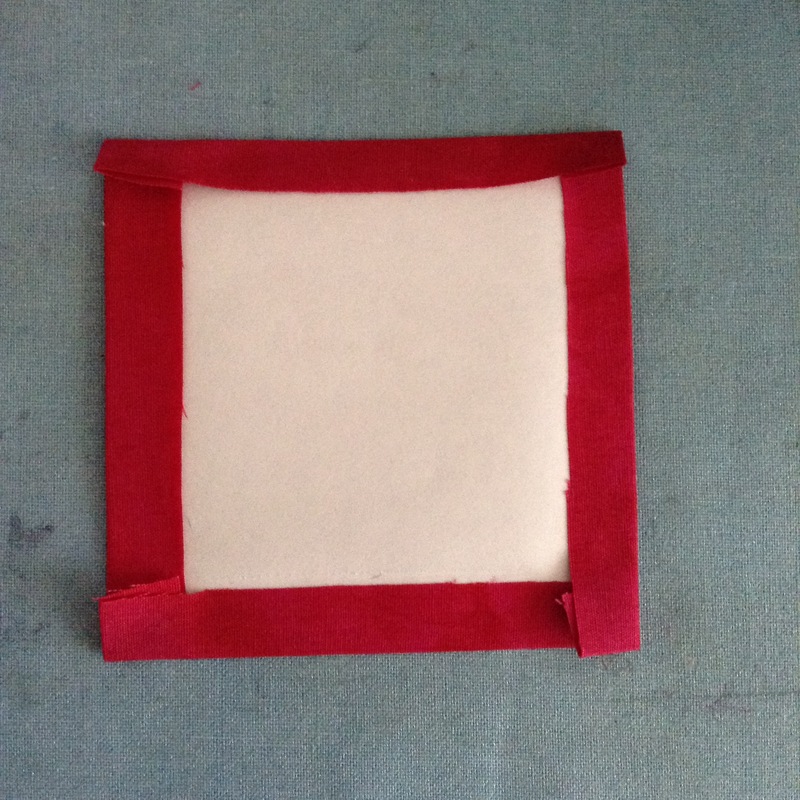 Take one of your 3″ squares and centre on the background fabric, using the creases as guides as to where the corners should be. 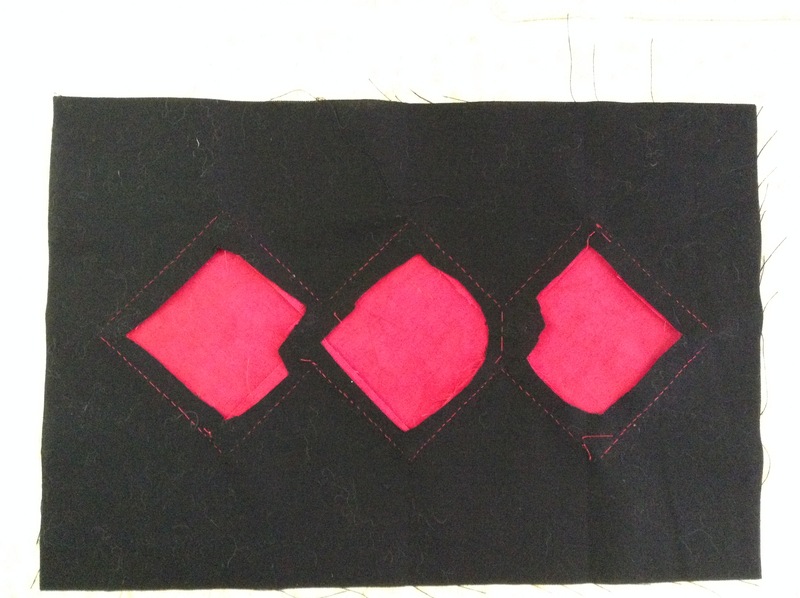 Applique the outer squares first and then the centre one. 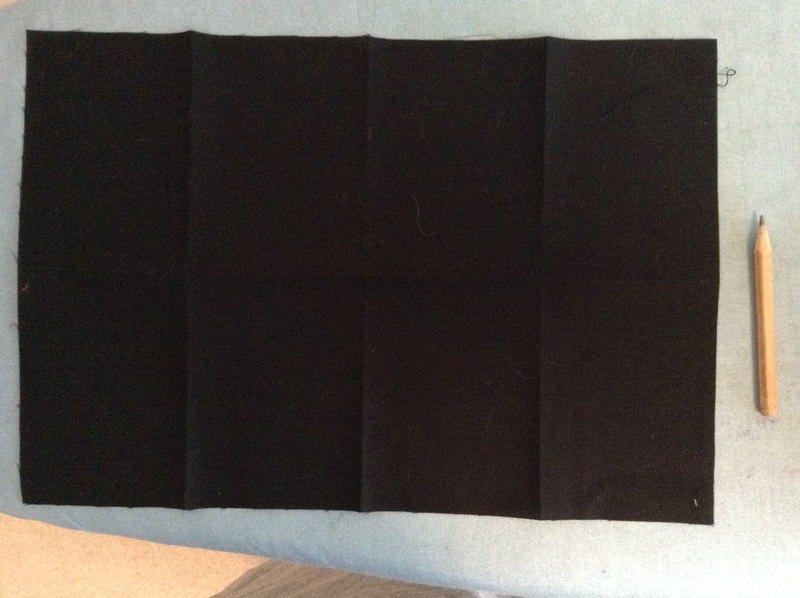 Then flip the block over and cut out the black fabric inside the stitching and gently pull out the freezer paper as shown below. 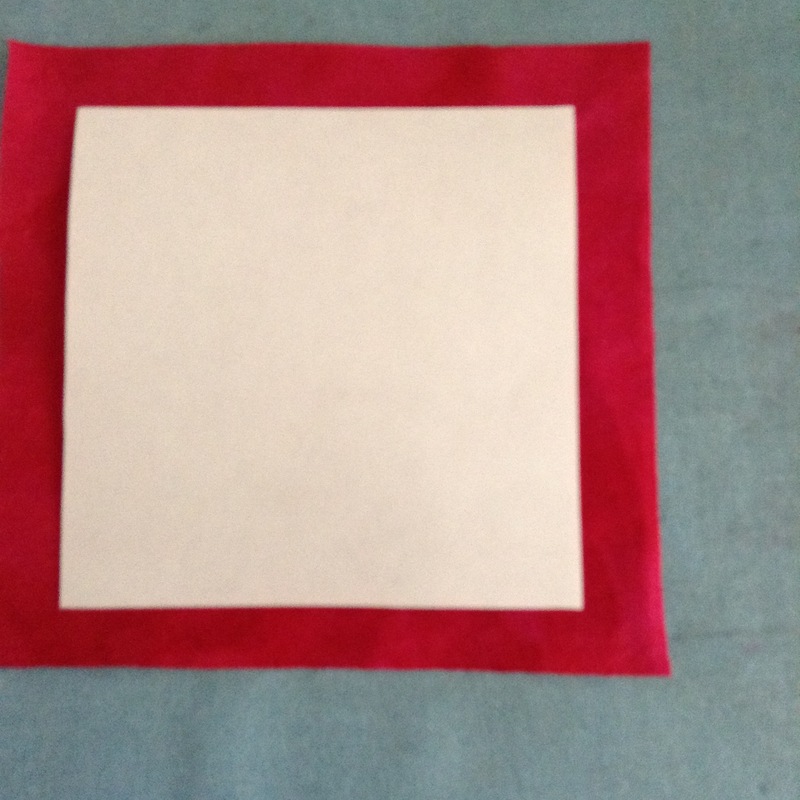 Next cut out three 1.5″ squares of freezer paper and repeat the earlier process on your smaller squares of fabric and press them onto the middle of the larger squares. 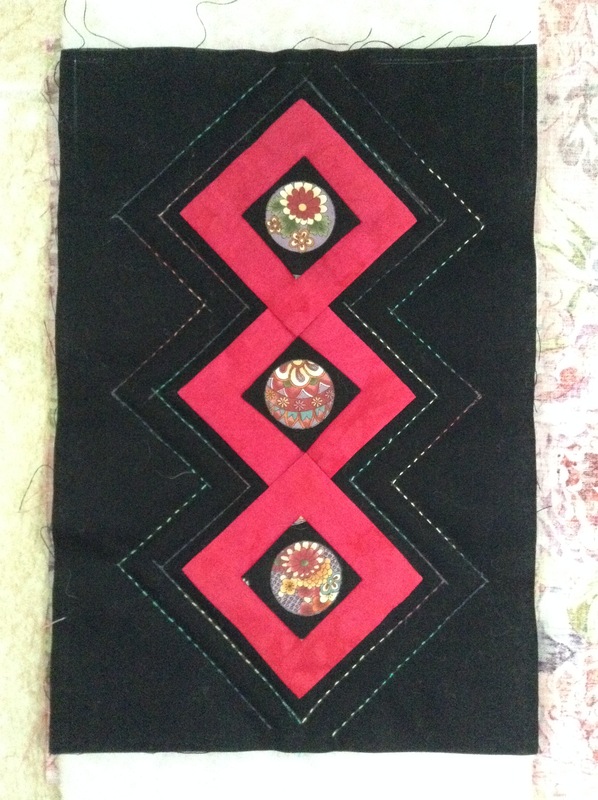 Applique them and then cut the back away and remove the freezer paper. 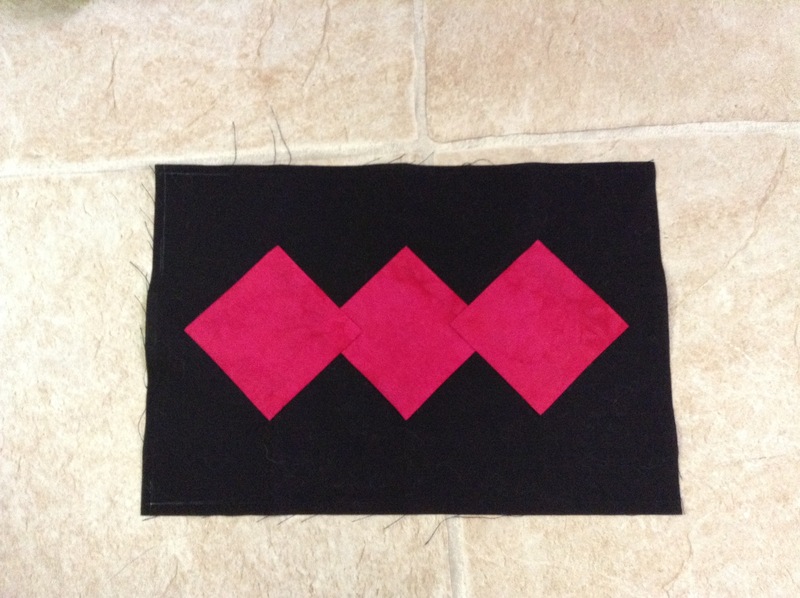 Then sandwich the block as per block 1 and draw a line 1/4″ outside the large squares and quilt with 12 wt thread. 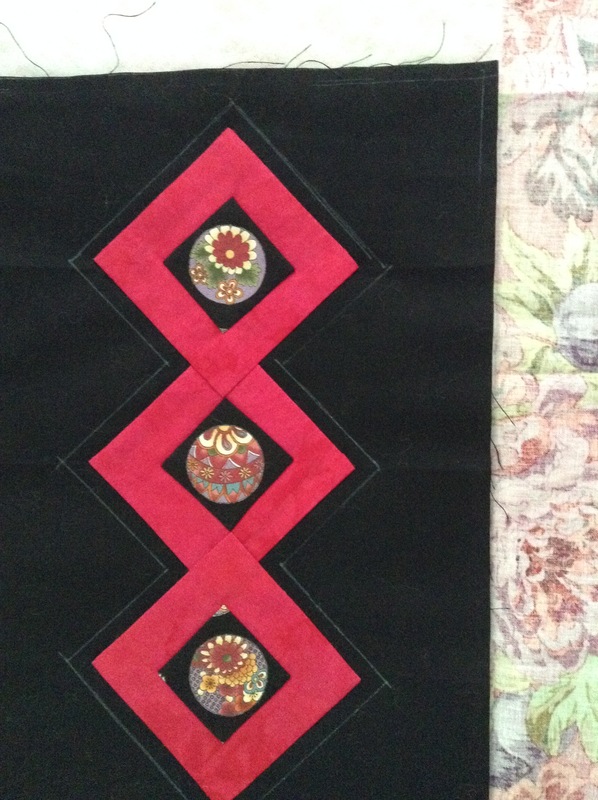 Draw a second line and quilt it and then you’re done with block two. I do think this is really lovely. 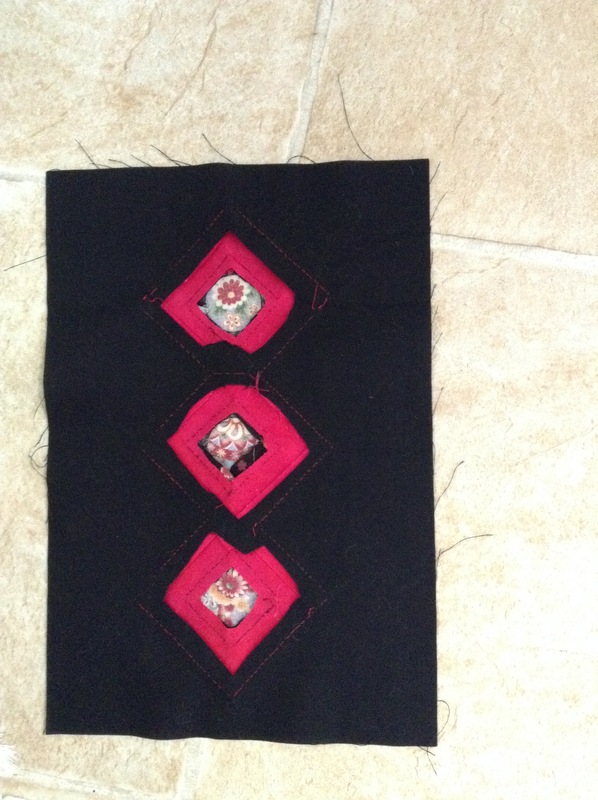 And I did pull some fabric out yesterday but I am not happy with it as not much goes with it. But I may start it anyway – maybe. Lush tropicals sound perfect Fran. All those saturated colours would work great. Have a safe trip.